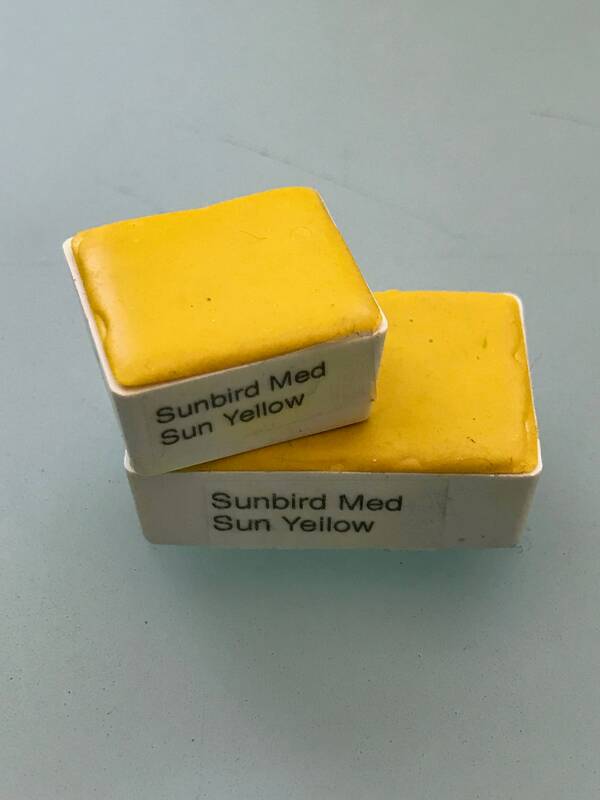 This is a handmade, non toxic whole or half pan Sunbird Med Sun Yellow watercolor paint. 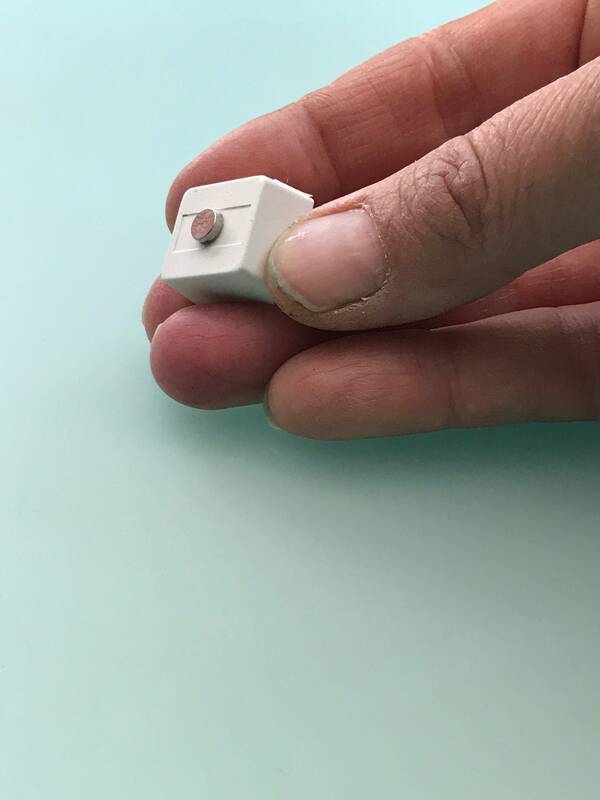 This is a primary pigment. 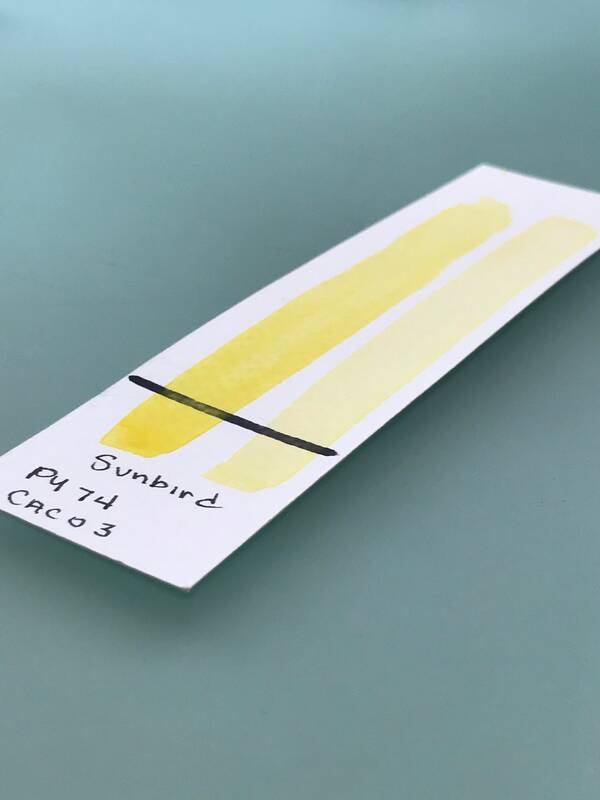 This is an excellent alternative to Cadmium Yellow as it is non toxic. 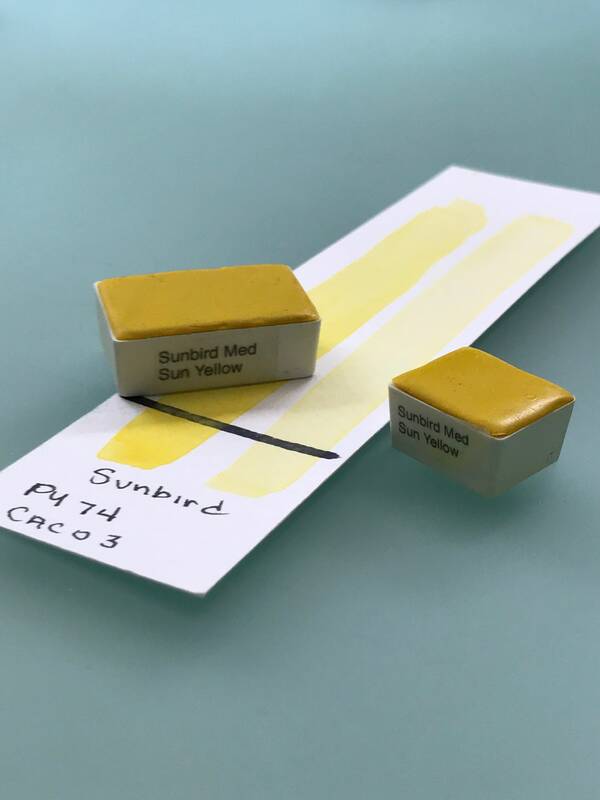 I ACTUALLY RECEIVED THE "GOLDEN" VERSION OF SUNBIRD YELLOW AND LOVE THE ADDED SPARKLE...GOOD FOR MIXING OR ON ITS OWN. 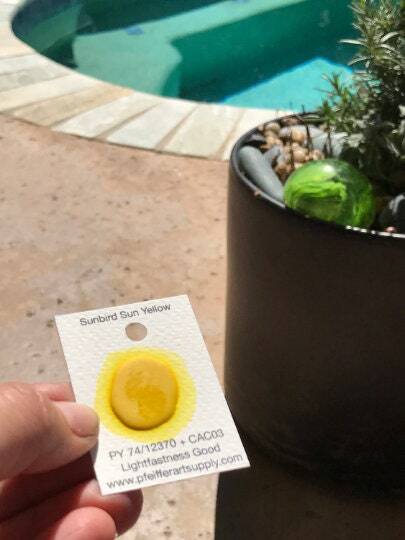 Great bright medium yellow, not too warm or too cool. Nicely fills a gap in the collection!